Ideal for both home and travel, this toiletry case is made from durable canvas and matt calfskin leather with woven intrecciato detailing. 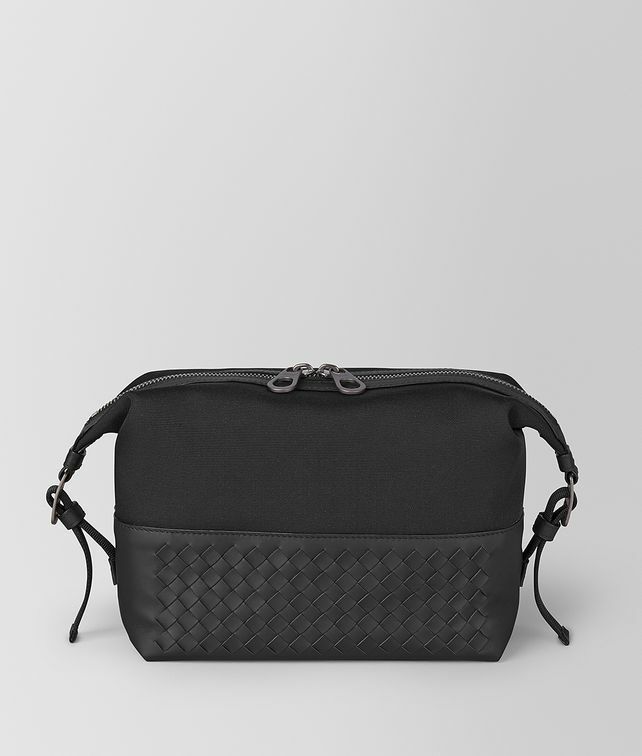 It features an elongated double-zip fastener, a roomy cotton-lined interior and two nylon ribbon side handles accented with engraved brunito-finish hardware. Height: 15 cm | 5.9"
Width: 21 cm | 8.2"